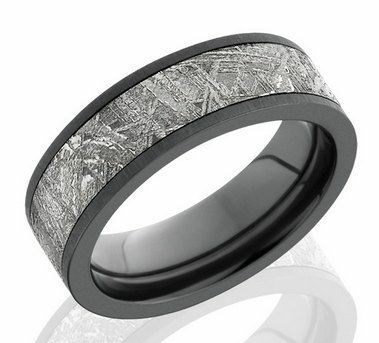 Black Zirconium 7mm Flat Band with 5mm Meteorite Inlay. * Customize this band. We can add diamond or gemstones. Please inquire.